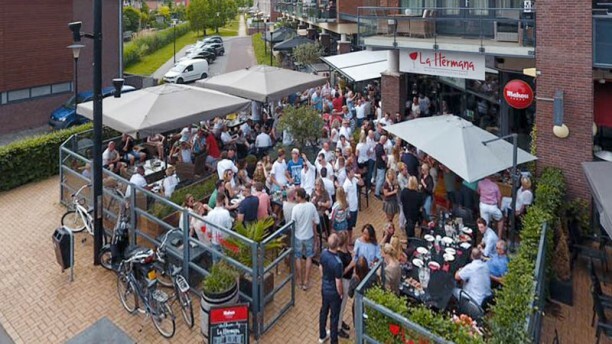 Original Spanish tapas with fine wines, that's Wine & Tapas Restaurant La Hermana! Located on of the most beautiful squares in Barendrecht you find this cozy restaurant. La Hermana has a nice place and a spacious terrace. Here you are at the right place for a dinner, party, buffet or high wine! Lekker gegeten, echt wel porties om te delen. Bediening was prima. The place is very lively and busy, in a good way. The food is great! The only area for improvement is speed of service. Staff were otherwise friendly and helpful. Is in dit restaurant altijd lekker eten.